Joel R. Beeke and James A. La Belle draw from stellar Puritan treatises on divine promises by Andrew Gray, Edward Leigh, and William Spurstowe, and offer them in contemporary language for today’s readers. 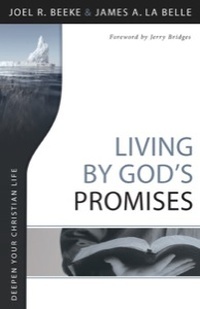 Moving beyond historical interest, this book explores a topic that is vital for Christian living. By God’s grace, it will help you treasure the promises that God establishes in Christ and conveys in His covenant love to comfort you in sorrow and strengthen your faith. With the Spirit’s blessing, this book will energize and deepen your life as you appropriate the precious promises in God’s Word.